Princeton University physicist Curtis Callan will give a free public lecture on cosmology and particle physics on Monday, April 25, at 7 p.m. at the University Inn and Conference Center, 611 Ocean Street, in Santa Cruz. "What is the world made of? Answers (and questions) from particle physics and cosmology" is the title of Callan's talk, the second annual Stanley Flatté Memorial Lecture presented by the UC Santa Cruz Department of Physics. Particle physics probes the smallest distance scales, while cosmology observes the large-scale structure of the universe. Both sciences have made enormous strides in the past 50 years, and each has produced its own nearly complete picture of the world. The origin of our universe in a "Big Bang" ties the two pictures together, and Callan asks whether particle physics and cosmology are telling the same story. They are, he says, but only up to a point. Reconciling their stories will be the central task of fundamental physics for many years to come. 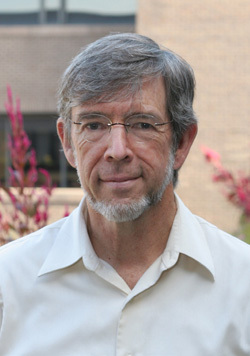 Callan is the James S. McDonnell Distinguished University Professor of Physics at Princeton University. He works on quantum field theories which underlie the phenomena of particle physics. In recent years, this has led him to study issues in string theory and quantum gravity. His honors include the Sakurai Prize for Theoretical Physics from the American Physical Society, the Dirac Medal of the Abdus Salam International Centre for Theoretical Physics, and election to the National Academy of Sciences. He was President of the American Physical Society in 2010. For more information about this event, call (831) 459-3744.